Briggs & Stratton Tune-Up Kit for 3.5HP - 4.5HP Q45, Classic, Sprint, Quattro Engines. 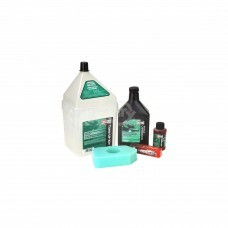 Includes spa..
Honda Tune-Up Kit for 3.5HP - 5.0HP Engines for Older Applications. Includes spark plug, air filter.. Fits Briggs & Stratton 5 HP Horizontal (+.010).Replaces:PRIME LINE 7-09703STENS 785-311SUNBELT B1SB6.. Fits Briggs & Stratton 5 HP Horizontal (STD).Replaces:PRIME LINE 7-09702STENS 785-576SUNBELT B1SB685.. Fits Briggs & Stratton 8 HP Horizontal (STD).Replaces:PRIME LINE 7-09704STENS 785-568SUNBELT B1SB686.. Fits Lawn-Boy "D" Engines.Replaces:SUNBELT B1SB6854.. Fits Lawn-Boy "F" Engines.Replaces:STENS 785-444SUNBELT B1SB6855..